Competitive fees, fast turnaround, highly experienced power of attorney lawyers in London. We are able to advise at short notice and at fixed costs as to the pros and cons of a lasting power of attorney. If you are considering whether or not a power of attorney is necessary either for your own personal needs and peace of mind or for a relative who is perhaps elderly or where there are concerns about mental capacity, please contact us for an initial free telephone consultation. Our main office is in Edgware, North London but we also have an office in Central London. What is a power of attorney and when are they needed and/or used? There are a number of different types of power of attorney, as described below, but in simple terms, a power of attorney is a legal document whereby a person (the donor) grants legal authority to one or more other people to represent him or her either for general legal matters or in a restricted manner (in terms of what types of matters they can act or for time periods or both). if someone is going abroad for an extended period and needs matters to be dealt with at home in their absence. A general power of attorney is often used for a short term, specific legal situation or need, such as where a legal property owner is abroad but with legal business and documents that need signing in his or her absence, or for limited tasks perhaps, such as for collecting a pension. More than one attorney can be appointed, as it is worth considering that if only one is appointed, that person may fall ill, and there can be added security in having 2 attorneys, such that each will have a duty to check that the other is complying with the instructions and not overstepping any mandate or acting incorrectly. There is no legal requirement to formally register this type of power of attorney anywhere and it can be revoked (cancelled) with less formality than an LPA. Also important to note is that a general power of attorney is automatically void should the donor become mentally incapacitated or die. An LPA creates certainty by allowing you to plan ahead and appoint another person to manage your affairs if you become unable to do so. The person you appoint is called your Attorney and their role is to make the decisions that you would have made if you were able to. Hopefully you will never need to use your LPA, but preparing one is a way of making sure that, in the event of permanent or temporary mental incapacity, someone of your own choice will be able to represent you. If you do not have an LPA and you are not capable of making your own decisions, it will be necessary to apply to the Court of Protection to appoint somebody with authority to handle your affairs. This is a time consuming and expensive application. a Property and Affairs LPA which gives your Attorney to manage your financial affairs. a Welfare LPA giving your Attorney the formal right to make personal and healthcare decisions. What does a Lasting Power of Attorney do? Making an LPA allows you to appoint someone you trust to make decisions on your behalf. There are 2 types of LPA: Property and Financial Affairs or health and Welfare. An Attorney’s role under a Property and Affairs LPA can include collecting benefits, paying bills and expenses, managing bank accounts, buying and selling property and submitting tax returns. An Attorney’s role under a Welfare LPA can include making decisions as to residential and nursing care and consenting to health care decisions. You can limit the powers that an Attorney has and, if you want, include guidance to help the Attorney in making their decisions. You should appoint someone you trust and in whom you have complete confidence. Your Attorney must be aged over 18 and not bankrupt. You can appoint more that one Attorney so that both Attorneys have to act and make decisions together. An LPA, before it can be used, needs to be registered with the Office of the Public Guardian. After registration, a Property and Welfare LPA can be used immediately but a Welfare LPA can only be used when you are not mentally capable of making your own decisions. When making an LPA you can appoint one or more persons to act as your attorney. These are usually the closest people to you who you trust to manage your affairs or make decisions about your health. You can appoint your attorneys, if there are more than one, to either act jointly, whereby all decisions must be made together or jointly and severally allowing them to each act alone. You can register your LPA straight away and have peace of mind in knowing that it can be used as soon as necessary. Alternatively, you can prepare your LPA and hold on to it. It can then be registered at a later date. An unregistered LPA does not give the Attorney any legal power. You can also revoke an LPA at any time, provided that you have the capacity to do so. You do not have to seek legal advice but an LPA is a powerful and important legal document and you may wish to seek advice from a legal adviser with experience of preparing them. There will also be a Court fee payable if you decide to register your LPA straight away. If you need legal advice on or an experienced lawyer to draft a power of attorney, either a general or lasting power, please do get in contact. 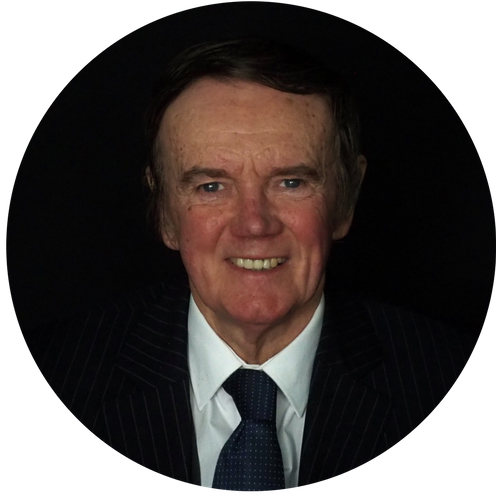 Experienced in all types of power of attorney, Michael is known for clear and practical fixed fee advice delivered with professionalism but also a smile. Michael has advised many clients on general and lasting power of attorney documents and legal issues arising. Based in our Edgware office, Michael advises clients locally in Barnet, Harrow, Brent and throughout North London and North West London.